Songs for Every Soul introduces the public to the Firma Music Group, a new Christian label organized by Hollywood execs Joel Weldon and Tom Mgrdichian. The project, which falls somewhere in length between and EP and a full album, offers seven tracks led by Lexi Jones and Matthew Scott, young worship leaders for large churches in the Los Angeles area. Overall, the songs are tuneful and the arrangements atmospheric, though Matthew Scott’s electric guitar-dominated “Unchained” is 100 percent power praise. Imagine Coldplay instrumentation wed to lyrics about how Christ broke chains and paid ransoms at Calvary, and you have “Unchained.” Lyrically, the songs focus on vertical praise to God for being God as well as on thanksgiving for Christ’s sacrifice that set all souls free. The most interesting selection is the album’s opener. “Mercy’s Tree” is hymn-like in melody, lyric, and structure, and features something you don’t often hear in CCM or gospel: an accordion (and is that an Irish penny whistle in the background?). The song’s drone-like tune sounds straight outta Southern Harmony but it is a new composition. Though brief, Songs for Every Soul is tuneful, memorable, and well produced. 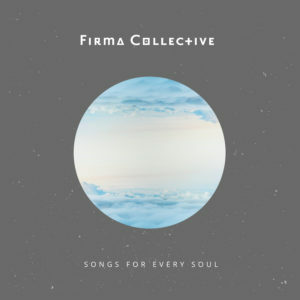 I suspect it’s a good primer for what Firma Music Group has in store for us.